Fifty-four days after Michigan lawmakers agreed on comprehensive and widely praised energy reforms, the Republican legislator now steering energy policy discussions in the state House announced he’s ready to take a scalpel to the new laws. State Rep. Gary Glenn — the new chairman of the House Energy Policy Committee and a staunch free-market, pro-competition advocate — says he has “no qualms whatsoever” about introducing legislation to roll back 2016’s energy reforms, including the expansion of Michigan’s renewable energy and efficiency standards. “I can certainly say it is not my attitude as chairman of this committee that we are going to say: ‘Well, OK, the legislature a month ago rewrote this legislation, we only do that once every decade, therefore this committee will spend the next two years twiddling its thumbs and staring at the ceiling,’” Glenn said Feb. 7 during his first committee meeting as chairman. He plans to meet every Tuesday morning over this legislative term, which he estimated to be about 80 times. Part of that time will be an educational crash course for new committee members, but Glenn said he also anticipates a bill to be introduced soon that would eliminate a potential grid fee for net metering customers. He “suspects” another bill may repeal renewable and efficiency standards that were just expanded to 15 percent. Any plan to further increase those standards“will not get a hearing,” he said. Glenn, in his second two-year term, replaces former state Rep. Aric Nesbitt as the head of the House energy committee. The two disagreed particularly around electric choice issues, and Glenn was critical of the way Nesbitt passed his own bills through committee last year. Glenn also believes the November election brought an even greater shift toward his “free-market principals” among new members of the conservative-led House. However, Glenn confronts a state Senate that is less enthusiastic about dissecting two years’ worth of work on energy. The prevailing thought in the Senate — and the Snyder administration — is that last year’s legislation was a major bipartisan accomplishment that needs time to play out. Glenn would also likely face strong opposition from major utilities that backed the reforms. Also, part of the issue is that House members are limited to serving three two-year terms and senators are limited to two four-year terms. Even if he confronts a roadblock in the Senate, Glenn said his approach will at least serve to continue the discussion on energy topics leading up to the 2018 election, which will feature contested races for governor, the House and the Senate. Whether Glenn’s plan is simply posturing, clean energy advocates are taking note. They recognize the new dynamic Glenn brings and are prepared to support him or play defense when his free-market principals confront their goals. While Ward says Glenn’s efforts may realistically be “kind of a marketing thing,” the potential for repealing the clean energy standards “moved up the list” as an issue his group “may have to play defense” on. However, he thinks Glenn could receive broad support for plans that lower overall system costs, such as reducing peak demand, and that save ratepayers money. “To the extent (Glenn) is raising new issues, especially in ones he gets bipartisan support for in the House, the Senate may be forced to pay attention a little more,” Clift said. At the February 7 committee meeting, Glenn announced that he already had bipartisan support for a bill that would allow ratepayers to opt out of requirements to install smart meters. 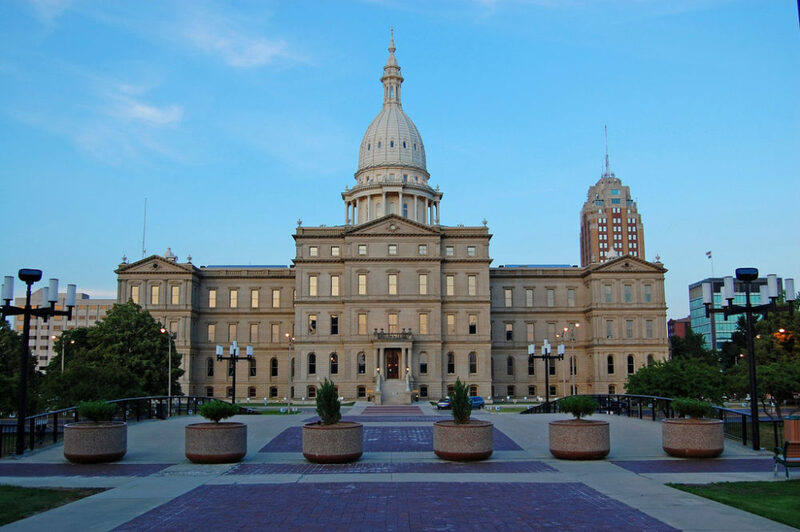 An issue that will continue to play out as a result of the 2016 legislation is the future of Michigan’s net metering program. The bills tasked the Michigan Public Service Commission with setting a tariff and determining whether there should be grid-usage fees for net metering customers. For solar advocates, this was an improvement on earlier plans to eliminate net metering and possibly move to a “buy-all, sell-all” model, though there is still concern that the commission won’t fully account for the benefits of rooftop solar, said Amy Heart, spokesperson for The Alliance for Solar Choice. Ward believes that the next couple of years before any potential charges are established should be a boon for Michigan’s solar industry. “Now is the time to get in,” he said. Glenn says he wants the Energy Policy Committee to play a strong oversight role of the work state regulators do on enacting changes in the new laws, which includes net metering. During the energy debate, Glenn advocated for the cap on net metering to be expanded and believes ratepayers should be incentivized for generating their own electricity through net metering.